“Growing food in the subarctic is not for the faint of heart,” says Megan Talley, manager of Spring Creek Farm in Palmer, Alaska. With cold, blustery winds and short growing seasons, sustaining a sturdy local food system in this region can be quite challenging. 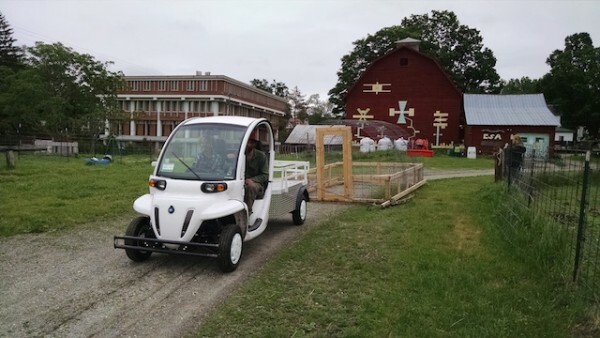 However, despite climatic obstacles, Alaska Pacific University’s Spring Creek Farm takes a progressive approach to providing surrounding communities with access to healthy, fresh, and locally grown food. A key part of this approach includes preparing the next generation of food justice activists with important skills and critical lenses to examine both economy and environment while farming in a rapidly changing world. Meanwhile roughly 4,500 miles away, Cerridwen Farm integrates hands-on learning opportunities with Green Mountain College’s liberal arts education in Poultney, Vermont. Both projects of EcoLeague schools, Spring Creek and Cerridwen Farms are two comprehensive programs that offer ample opportunity for student action, community collaboration, and education in sustainable agriculture. 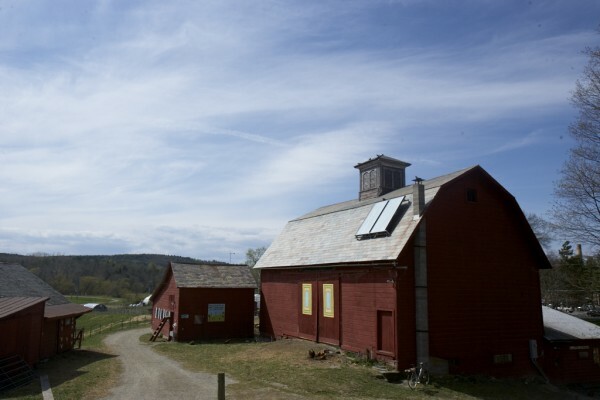 Although located on opposite ends of the continent, the two farms share similar values and philosophies which include environmentally thoughtful growing methods, community building, and a focus on food justice. As the two farms are located in extremely different bioregions, one might assume that their growing processes would differ as well. However, both GMC and APU’s programs face similar challenges of erratic climate conditions during their growing seasons. “This part of the Earth is at the forefront of climate change. Unpredictable weather patterns, destructive climate events and soil erosion compound the threat to a secure local food system,” says Talley. Farmers in the Alaskan region also struggle with cold soil temperatures, plant “bolting” from the long hours of daylight, and very dry springs. Such conditions make it crucial that new growers are provided with the tools they need to “farm nimbly” and resist crop loss, which is something Spring Creek Farm strives toward year-round. Though these threats can be discouraging for any farmer, APU’s project and crops continue to thrive and Talley remains optimistic. “The low soil temperatures translate to the sweetest carrots anywhere,” she says. “Farming nimbly” is a phrase that Vermont farmers can also appreciate as they grapple with complications of their own, some similar, some unique to their bioregion. “In the last two years we have worked through a devastating hail storm, incredibly high winds, a record early freeze, and record low winter temperatures,” says Bay Hammond, the farm manager at Green Mountain College’s Cerridwen Farm. Due to these unpredictable weather patterns, GMC growers have become more dependent on their three-season houses. In addition to the outdoor Hillside Garden, the farm also has two High Tunnels and a hoop house for growing heirloom tomatoes, cucumbers, ginger, eggplants, and peppers year round. Though maintaining crops in erratic conditions can be difficult, Hammond believes each hardship becomes an opportunity for learning. These opportunities are always utilized by students involved at the farm. “The students are bright, entrepreneurial, and hard workers. They are dedicated to the farm and always step up to meet the challenges,” Hammond states. GMC’s Farm and Food Program offers multiple avenues for student involvement at Cerridwen Farm. Some of these options include 1-3 credit skill intensive courses, work-study employment, or joining Farm Crew. 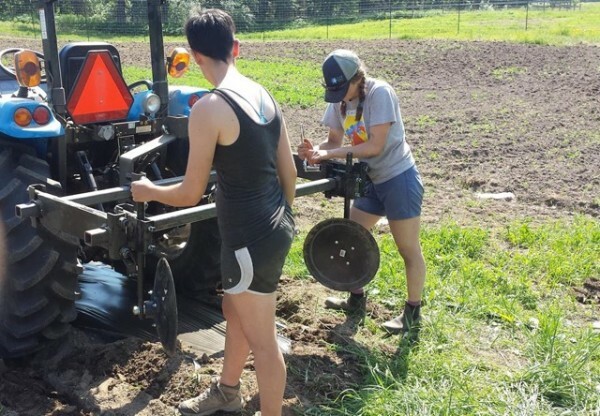 As Eleanor Tison, director of the Food Systems Program explains, “Farm Crew is an all-volunteer student organization overseen by the farm manager. Students in Farm Crew meet weekly, receive weekly email updates, and participate in running the farm.” This organization is a great way for students to apply the skills they learn in the classroom, as it offers many possibilities for engagement. Members of Farm Crew sign up for animal and vegetable chore slots, help with decision making, and become involved with special events, such as the GMC farmers’ market or the October Welsh Harvest Festival, which is an annual event open to the larger community of Poultney. Special events are not the only opportunities for community engagement; Cerridwen Farm is always open and accessible to all interested visitors. “As our farm is adjacent to residential neighborhoods in the town of Poultney, we have daily visitors who visit the chickens, pigs, cattle, goats, sheep, and ducks on our farm,” says Tison. GMC also operates a self-serve “farm store” which is open 24/7 for customers looking to purchase eggs, seasonal produce, and frozen meat products. 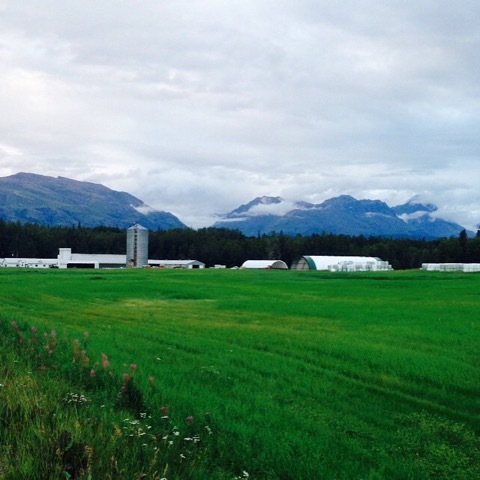 These EcoLeague Farms are major resources for community collaboration and creative thinking in both Poultney and in Anchorage, AL. “Community building is the basis for cultivating the Alaskan food movement. We strive to be a hub for sharing meals and ideas which will usher in a more robust and resilient local food system,” says Talley. APU’s program regularly hosts community volunteer opportunities and workshops, which are open to all, students and non-students alike. These workshops encompass many exciting topics such as native plants and permaculture design. Like the Cerridwen Farm, Spring Creek also operates a small-scale Community Supported Agriculture Share (CSA) and has a booth at the community farmers market in Anchorage. Talley describes the downtown market as a “vibrant community staple and social event” that brings folks together on a weekly basis. The CSA program and farmers market are only two of four destinations for the produce grown through the program. Another place where Spring Creek Farm’s vegetables are used is on campus in the cafeteria. As much food as possible is distributed to dining services, but the farm also donates a portion of their bounty to low income-families through their “Alaska Tilth” program. In a fight to end hunger, Alaska Tilth was founded in collaboration with the University of Alaska’s Experiment Farm and the cooperative extension of the Supplemental Nutritional Assistance Program (SNAP). “The fresh food our farm donates is brought to food pantries each week by a SNAP educator who demonstrates seasonal cooking with fresh ingredients, sharing a meal with those in need,” says Talley. Only within its first year of operation, Alaska Tilth has been a huge success and has plans for expansion in 2017. Both Spring Creek and Cerridwen Farms work as springboards for larger visions of the future. Exemplifying strong commitment to their communities, to the futures of their students, as well as to the land, these EcoLeague programs are able to thrive year round, despite climatic hardships. Offering multiple opportunities for involvement, an abundance of locally grown food, and important skills for future generations, the programs set great examples for farmers nationwide.